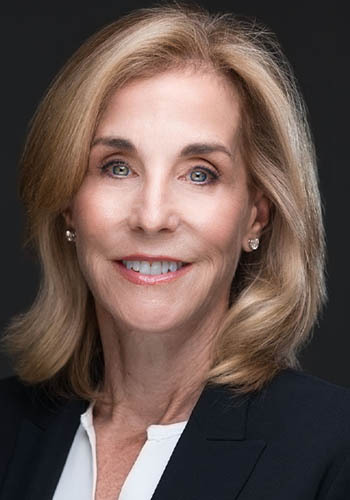 Elaine E. Feldman - Mediator & Arbitrator based in Miami, Florida. Salmon & Dulberg Dispute Resolution, Inc. Please click your preferred available date to submit a request. Your Appointment Form will be sent to Elaine's assistant, Martha Belbusti. Elaine E. Feldman, Esq. is a Certified Circuit Civil, Family and Federal Court Mediator who has mediated more than 3500 cases since 1991. She graduated from the State University of New York at Stony Brook where she received her Bachelor of Arts in Psychology with honors. She received her Juris Doctor in 1981 from Brooklyn Law School and attended the University of Miami School of Law as a visiting student. Ms. Feldman is a member of the Bars of Florida, U.S. Court of Appeals, Eleventh Circuit, U.S. District Court for the Southern District of Florida and the U.S. District Court trial bar. Prior to 1991, Ms. Feldman was a civil trial attorney specializing in commercial litigation, banking and real estate. Ms. Feldman was a mediator for the 11th Judicial Circuit In-House Mediation Division. She serves on the panel for the Department of Financial Services, mediating property damage claims. Elaine was also a mediator for the EEOC and she mediated for the Collins Center for Public Policy concerning the Remediation Plan- Federal Class Action and mortgage foreclosure actions. Ms. Feldman is also on the Mediation and Arbitration Panel of the AAA and served on the FINRA Panel. Ms. Feldman served on the Florida Bar Grievance Committee and serves on the Fee Arbitration Committee.